And the penguins and their followers started moving ahead on a road of their choosing. They did not have a clue where this would lead them and who they would end up meeting but they liked the shape, substance and nuances of it, they also appreciated the green patches, the flowers and the bees who seemed to gravitate lightly around it. When the yellow butterfly asked them naively about the whereabouts of the ice-cap their response was : who? The Penguins and their believers assessed the situation and decided to move ahead since stillness only confused them. They considered that the goal was not in itself an issue to discuss anymore but the road was. Indeed they could not dream about understanding where they were going and how they could reach the ice-cap and bring it back where it belonged to. But they could easily determine what their next step should be, how to move one leg up and how to move it down, how to walk five meters up or down the road, when to eat or drink or sleep. Accordingly, they decided to forget about their future and focus on the present, and to this end took a series of decision about what to eat and when to do so, when to take a nap and where, where to stop for the night and for how long, and they felt good about it. Smiles came back to their pretty faces. Vous avez aimé l’affaire Cahuzac? 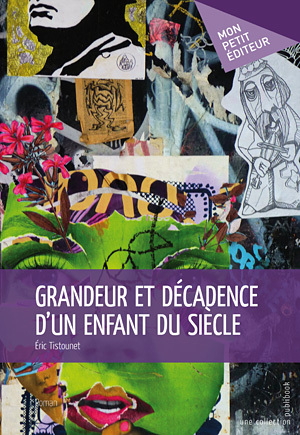 Vous adorerez Grandeur et décadence d’un enfant du siècle…. Un homme seul dans une pièce qui rétrécit. Des souvenirs qui l’assaillent. Un grain de sable dans le complexe mécanisme de l’existence. Une erreur, une faute commise il y a longtemps, fortuitement, involontairement, et tout est dit, un mensonge, presque rien en fait, mais tout en même temps, aux conséquences dramatiques. Ne restent que les souvenirs et peut-être un espoir. Peut-être pas. 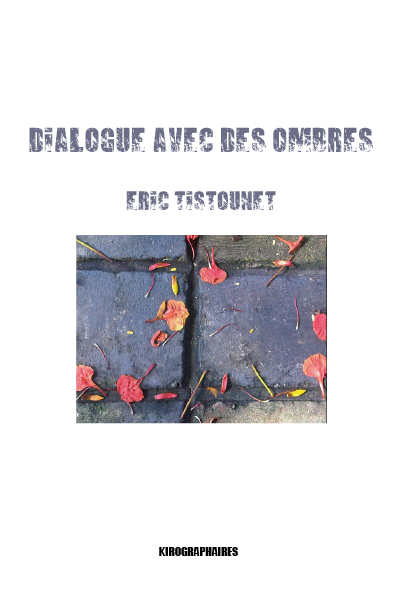 Dialogue avec des ombres s’interroge sur ces lignes de l’ombre que l’on franchit sans les noter, sans même s’interroger, mais qui marquent une existence et, en l’occurrence, celle du narrateur, qui “seul dans son antichambre, entre nulle part et nulle part, comme tous les autres humains, ne sait plus ce que réalité veut dire, il doit rêver, ou imaginer, il doit forcément être ailleurs”.